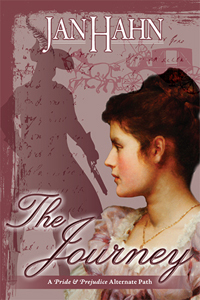 &quot;The Journey&quot; was included in the Top Five Historical Retellings at Austenprose…. Jane Austen's "one darling child" Pride and Prejudice was published 200 years ago and the BBC's David Sillito has been finding out how the novel has endured for so long. 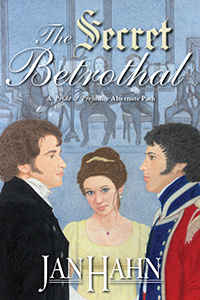 Several Meryton Press Books are included in a Best of poll on Austenprose. You can vote more than once. Please vote for one of the Meryton Press Books. Also, please share this plee with anyone who might be willing to click a button and vote. Family, Friends, whoever…. If you've read any of these Meryton Press books, we'd appreciate your vote! Guess who wrote "The Journey?" The 2nd annual Austenesque Extravaganza begins September 1st and lasts the entire month of September!!! Be sure and check out all the great Jane Austen themed events taking place. Lots of participation between readers and authors and something fun every day of the month. The banners are gorgeous! The word games are what I most anticipate. Your events are so wonderfully complex that I have to struggle to wrap my mind around all the delights in store. Brava! Meryton Press has five authors amongst those represented at the Decatur Book Festival, one of which is me. To celebrate this singular event, Meryton Press will be giving away copies of the books by these authors. If you are not in the Atlanta area, this is a great way to participate remotely. Each lucky winner will be given a signed copy of one of the eight books. Winners will be randomly selected from all “likes” of Meryton Press on facebook (facebook.merytonpress.com) prior to Midnight on September 4th. Books not claimed by Midnight on September 15th will be given away in a second random drawing. Entrants may be from anywhere in the world. If you're anywhere near Georgia this weekend, don't miss the Decatur Book Festival! In addition to a tremendous gathering of authors and readers, there's a special Jane Austen tent featuring JA-based books and authors. I'm participating remotely, so look for my banner and books and meet some great people who love Jane Austen. Okay, it would help if I read these things before posting (like my mother said, "Think before you speak!"). The Indie Jane giveaway begins today and goes through July 31st. It's an incredible chance to win a free Kindle and 20 novels, so pardon my excitement-induced misinformation. Oops! The giveaway is actually TODAY! So hurry over to Indie Jane pronto! If you're a member of "A Happy Assembly" (AHA), join me tomorrow (Saturday) 3 pm EST, for an author chat! You can ask anything you wish about my books or writing. Hope to see you there! Jakki Leatherberry has launched a great new blog called "Leatherbound Reviews," and she's started off with a marvelous review of "The Journey." Check it out! 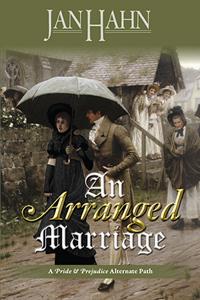 Nancy Kelley from "Indie Jane" reviews "An Arranged Marriage" and gives it 5 stars! Thank you, Nancy! I received a lovely 5 star review of "The Journey" from Candy Morton on her blog, "So Little Time." Thank you, Candy!